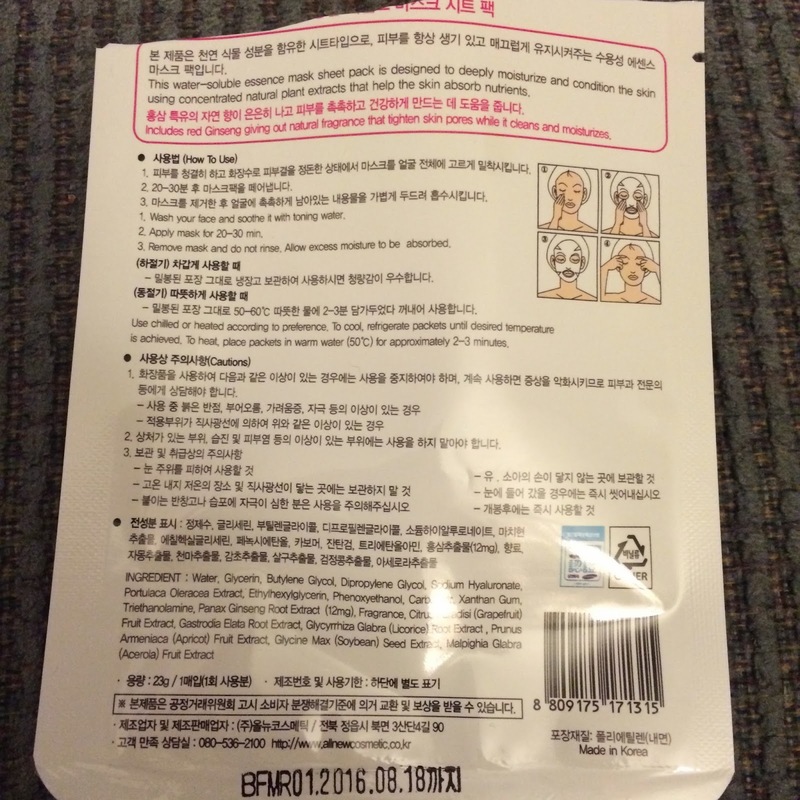 This sheet mask I received from eBay in a lot of $30 masks for $25. 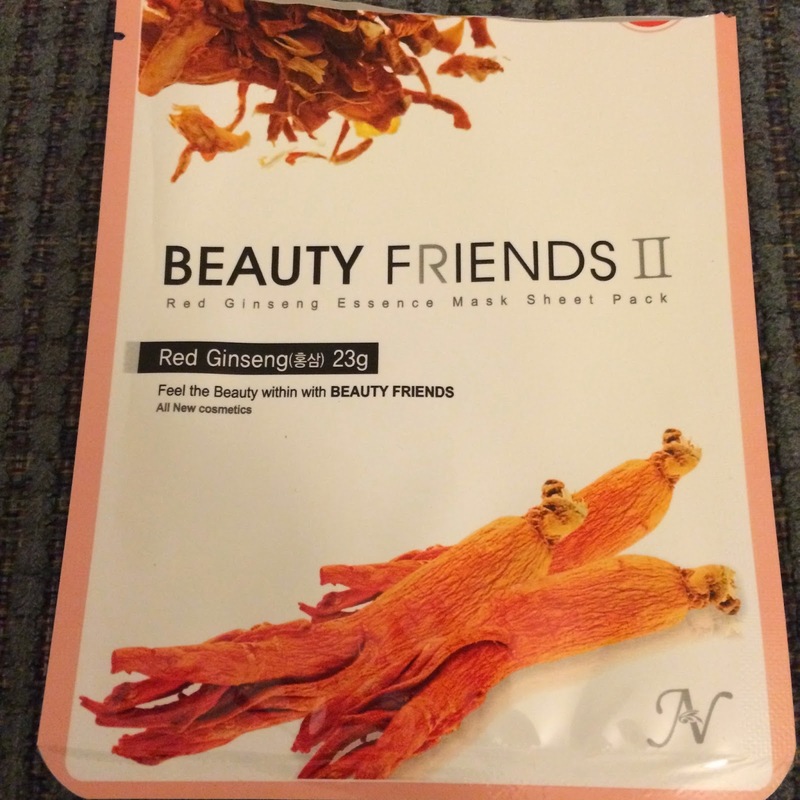 It is made by "Beauty Friends" and is a cotton mask with 23g of essence in the mask. According to the listing Red Ginseng is mild, firming, and refreshing - it's supposed to tighten pores while it cleans and moisturizes. The smell when I opened the package is unlike anything I've ever smelled before. It smelled like fermented chili peppers. Just odd, a little spicy, and maybe a little rotted. The cotton sheet was must better than I expected for the price of the mask individually. It was the perfect thickness. Not too thick, but not thin enough to rip apart. It was big - it fit my face well with room to spare, but was easy to fold over at the top. 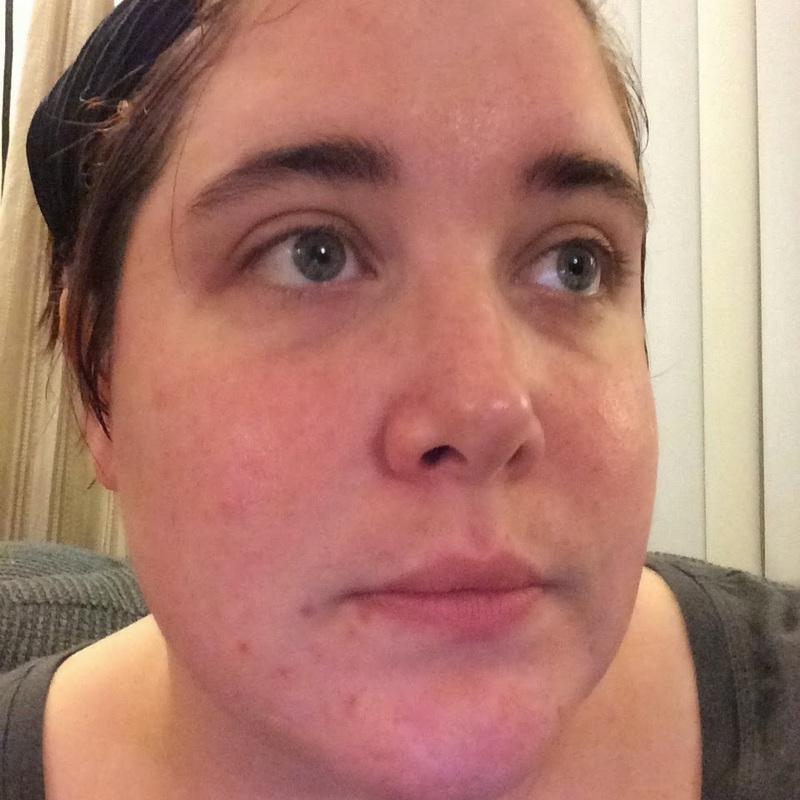 It spread out on my face evenly, and was comfortable to wear for 30 minutes until I removed it. Upon removal, I noticed my face was a little red. It felt moist, smelled of the mask, and was a little tingly. 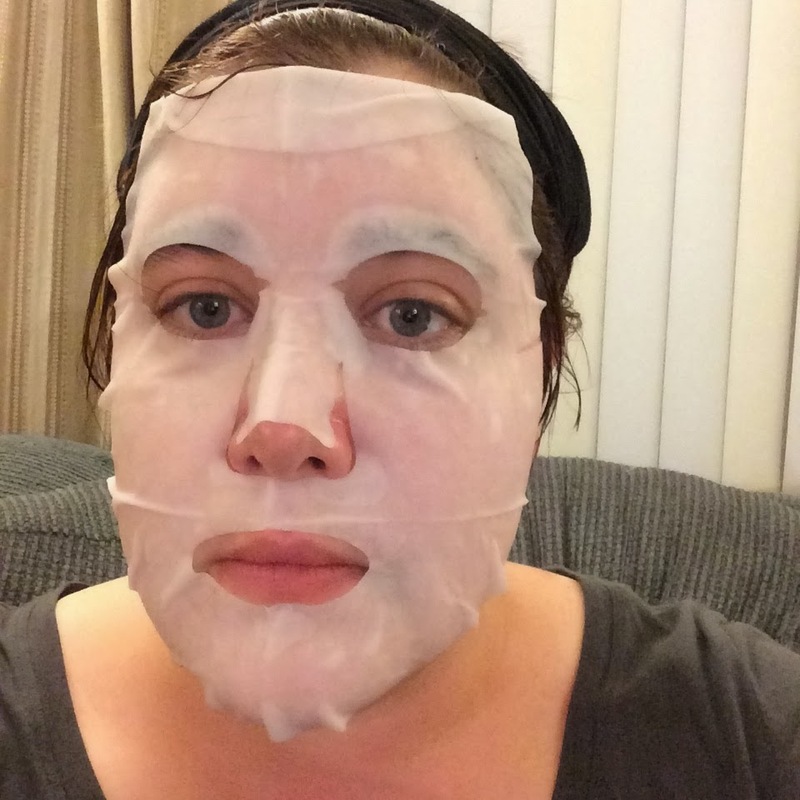 As the redness subsided I noticed my face felt a little tighter and firmer. I like how smooth and firm my face looks for now, but if I find a similar mask I'll replace this one just because of the smell lol.